A bi-monthly series to promote and focus on the innovation of the jazz piano, featuring local and national artists. César Orozco is a prolific Cuban/Venezuelan pianist, violinist, composer, arranger, producer, and educator. After developing an important career in Venezuela, Mr. Orozco moved to the United States in 2012 and enrolled with a full tuition Assistantship to The Peabody Institute of, where he earned a Graduate Performance Diploma (GPD) in 2014. 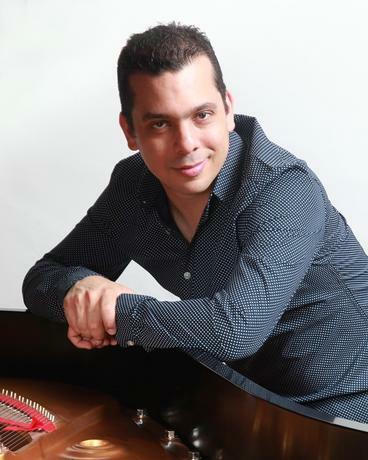 Since relocating to the New York tri-state area in 2015, Mr. Orozco has become an in-demand pianist as a sideman as well as a leader of his own projects. His band, Kamarata Jazz, includes three other Venezuelan musicians who have stellar careers not only in Venezuela but throughout South America and the world: Rodner Padilla (bass), Francisco Vielma (percussion), and Luisito Quintero (drums and timbales). The repertoire of this band is unique in the area, combining elements of jazz with traditional Cuban and Venezuelan music such as the jorobo and with other Latin musical styles such as flamenco and samba. The group’s tune “Orozcojam” -- from the album of the same name-- was awarded Best Vocal-Instrumental Album at Cubadisco 2012, the most important event of the Cuban recording industry. The tune “Orozcojam” also received DownBeat Magazine’s Student Music Award 2014 for Original Composition Small Ensemble Outstanding Performance. This is an exciting time to hear the band in live performance. The performers are greatly in demand.